Erigeron sumatrensis (Asteraceae) has been reported for the first time for the flora of FYR Macedonia. The species was recorded in several localities across the country. It seems, the species was introduced several decades ago, however, it remained unrecognised because of mis-identification with E. bonariensis. 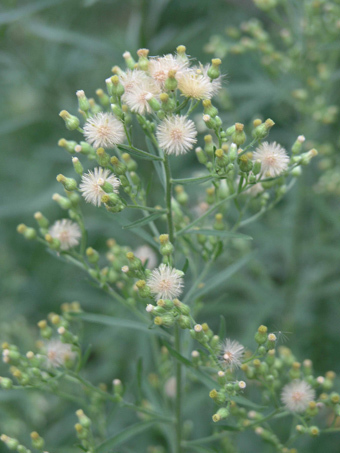 It has viable and persistent populations and should be regarded as naturalised in the Macedonian flora. This species is native to South America, but introduced and naturalised in all continents except for Antarctica. It has been recorded in most of the ESENIAS countries: Albania, Bulgaria, Croatia, Greece, Montenegro, Romania, Serbia, Slovenia, and Turkey-in-Europe. Erigeron sumatrensis grows in open, sunny to partly shaded places, mainly in disturbed or man-made habitats, such as: road embankments, railroad tracks, urban areas, waste lands, arable land, row crops, vineyards, and orchards. Each specimen produces an enormous amount of seeds, which are very easily dispersed by the wind. This and other reproductive traits, e.g. autonomous seed production, versatile mating system of self- and cross-pollination, generalised pollination system, and high germination rate, make the species a very efficient coloniser in open, disturbed or free of vegetation places. However, the species is less competitive than native plants if the disturbance of the ground is discontinued. 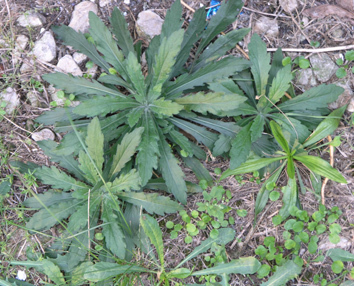 The species is an important and highly aggressive weed in agricultural land.